Trans Med USA Inc. is a family owned company that was founded by Ebi Masalehdan and is still family owned today 30 years later. Trans Med USA Inc. was established in 1986 as a sole proprietorship in Wilmington, MA. In 1990, as our client list grew and we became a Commonwealth of Massachusetts vendor on several State contracts we became incorporated in the State of Massachusetts and moved to a larger facility located in Billerica, MA. 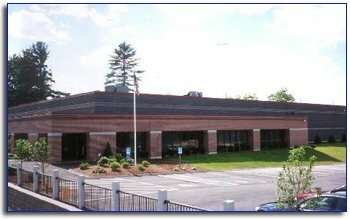 In 2001 as sales increased and we grew further we moved in to our current building located in Tyngsboro, MA which features a 30,000 sq. foot warehouse with attached office space where we stock hundreds of general medical products/supplies and have access to thousands of others. Today we distribute for over 100 different reputable manufacturers of varying types of Durable Medical Equipment, hospital disposables, and hospital furnishings. Contact us today and let one of our knowledgeable staff assist you with locating the products you need for your facility.